The Immigration Department is concerned by the recent incidents of fake visas being used by persons to try to enter the territory, and according to Chief Immigration Officer, Ian Penn, this is a threat to the territory’s security. 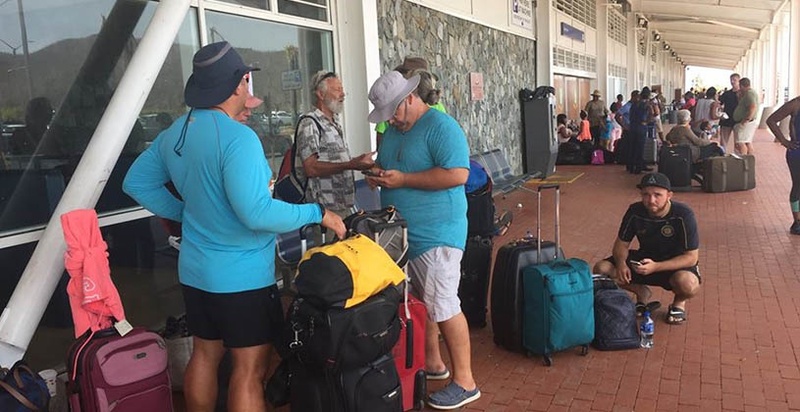 The most recent incident of two Dominican Republic citizens using fake visas to try to enter the BVI at the Terrance B. Lettsome International Airport has resulted in an investigation as to the source of these falsified travel clearances. However, the Chief Immigration Officer said that the BVI cannot tackle this problem by itself locally, but requires the help of other countries. “Every incident of fake documents, of visas coming to the territory is treated very serious and the Immigration Department alone cannot solve these problems. There are a number of players in law enforcement that would have to work together, not only here in the territory, but also internationally in order to help combat this,” he told BVI Platinum News. The latest incident, he noted, is receiving attention. On October 24, Mady Rodriguez, 31, and Edward Ortiz, 41, tried to enter the territory using fake visas. The visas bore the numbers of visas recently issued to two other Dominican Republic citizens. The duo was brought to court and charged in relation to the incident. They maintain that they paid a large sum of cash to someone in the BVI to have their visas processed legally, but were unaware that they were given fake documents. If persons require visas to enter the territory then the responsibility should be on the airline to ensure that those persons have necessary visas. If they don’t have the visa then a fine should be imposed on that airline.